IVE Development Director (and former school leader) Drew Rowlands, wades into the debate around the EPI’s report on declining arts take up at GCSE. 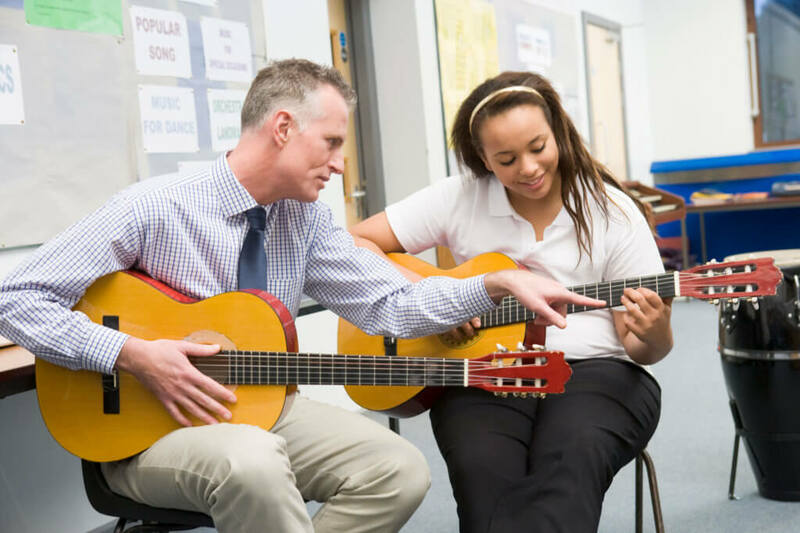 The new report from the Education Policy Institute (EPI) has looked in detail at the trends in Arts GCSE entries over the last ten years, with a view to understanding the impact of school performance measures such as the EBacc and Progress 8. Their findings tally up with what we’ve previously reported and what anyone working in cultural education will have spotted anecdotally, take up of arts GCSEs is in decline. Specifically, figures range from 55.6% of pupils taking at least one arts entry in 2007 – to a high of 57.1% in 2014 falling to a ten year low of 53.5% in 2016. Some have interpreted this to mean that Ebacc and Progress 8 are not the problem, how schools respond to EBacc and Progress 8 is. This is the approach taken by Holly Donagh at A New Direction, a Bridge organisation working in London. We shared Holly’s post on facebook earlier this week and would encourage you to read it. Her argument essentially is that EBacc is achieving what EBacc set out to do, ensure young people leave school with a minimum framework of knowledge that equips them to enter work, A-level or further education, and that it has no direct bearing on the arts. Whilst I agree with the view that part of the problem is how school leaders have responded to government policy, ultimately, I think the EBacc, along with progress 8 and the constant mantra that an academic core is what is best for our children are the root cause for why we are seeing the decimation of the arts in the curriculum and a decline in the take up of the arts at key stage 4. I’m afraid I take issue with the three rationale points for the EBacc that Holly mentions above. The research regarding the impact of dropping out of education at 16 bore no relevance in relation to the introduction of the EBacc. It actually led to the raising of the participation age to 18. Any evidence regarding GCSE’s being a more reliable route than other qualifications as a rationale for the EBacc is tenuous at best. The Wolfe review of vocational education took place a year after the EBacc was introduced. My belief and understanding of the rationale for the EBacc is based upon an idealistic view of education propagated by Michael Gove and Nick Gibb and based upon those subjects that Russel Group universities deem to be ‘facilitator subjects’ for students who want to study higher education in their red brick environments. The third point that Holly makes in relation to percentage figures is, I think, rather flawed! 21.8% of pupils may have been entered for EBacc subjects in 2010 (I actually thought it was lower), but to suggest that the other 79.2% had a sole diet of Btecs and HNDs (which are actually higher education qualifications and not offered in secondary schools) is misguided. The vast majority of schools offered a predominantly GCSE based diet, but they were wide ranging and not necessarily in the EBacc subjects. In the school where I was a leader between 2001 and 2009, we had up to 5 groups of GCSE Drama students in both year 10 and 11, 3 GCSE Dance groups in each year group, 2 GCSE music groups and 4 GCSE Art groups. This was in addition to the whole of year 9 taking a GCSE in Expressive Arts. We used the arts to drive improvements in whole school attainment; GCSE results 5A*-C inc Eng and maths rising from 18% to just under 60%. The EBacc was, in my opinion, a natural culmination of a vision for education that was, and still is, built upon a misinterpretation of the writings of American educator and academic literary critic E.D. Hirsch who believes that the acquisition of knowledge is essential before skills can be developed. Mr Hirsch was in fact talking about early primary education where his arguments might have some traction. However, Gove and Gibb extrapolated this principle to determine a vision for the whole curriculum being centred on knowledge rather than skills, and in so doing created an ethos in which ‘academic’ is somehow the absolute priority for education, and anything else is lower in status and peripheral to the perceived needs of children. Simply put, the entire rationale for the EBacc is built upon this incredibly narrow view of what successful education looks like – namely that you will be able to access Russel Group universities. A measure that is based upon such a narrow interpretation of what educational achievement should look like, in my opinion, has no worth whatsoever and is basically wrong. It presupposes that ‘academic’ learning is of a higher status than practical learning. It creates a hierarchy of subjects that places skills development and application at the bottom, and it ignores the nature of what makes effective classroom practice. Policy, media etc have become preoccupied with the importance of an ‘academic’ core. The definition of academic is ‘purely theoretical – nothing to do with practical application’. Does Science have no practical application? Does Music not have a canon of knowledge and theory that needs to be learned? One of the roots of the problems faced by creative subjects in school is that they are deemed ‘vocational’. The problem for me, is the language that we use. Rather than ‘academic’ and ‘vocational’ we should be using terms such as theoretical learning and applied learning. This simple shift could go a long way to changing how we think about the subjects that make up the curriculum, how they are taught and most importantly, how they are assessed. Every subject has theoretical foundations that need to be learned, and every subject should be practically applied in order to embed and evidence learning. It would go a long way also to break the mindset that educational achievement should only be based upon an ‘academic’ core. But that is exactly what the EBacc does. Implicit in the EBacc is the message that EBacc subjects are more important than none EBacc subjects. At key stage 3 this has resulted in more time being devoted to this ‘core’ with time being cut from others. At key stage 4, where creative subjects are offered, the most common model is to lump them all into one option block so at most a student can take only one creative option. However, in many schools the EBACC subjects of Humanities, Computing and Languages are also put in there so that students can choose a second subject eg History and Geography. When we talk as campaigners for the arts, we have to accept that this perception is real. In government, with parents, at certain levels of school decision making there is a sense that Maths is more important than Art. And that’s made worse when a formal framework exists in schools which backs up this idea. When a school is being held increasingly accountable for the % of students entered for the EBacc and progress 8’s focus on EBacc subjects, plus English and maths being double weighted, it is understandable why school leaders end up narrowing the curriculum. Pretending the perception doesn’t exist, doesn’t help solve the problem. For me the cause of this lack of understanding and awareness is due not only to certain ministers, but also media in general and the lack of a robust defence or evidence from the sector as well as the wider business world where it seems clear that the skills developed through creative subjects, are in many cases, what are valued above qualifications. 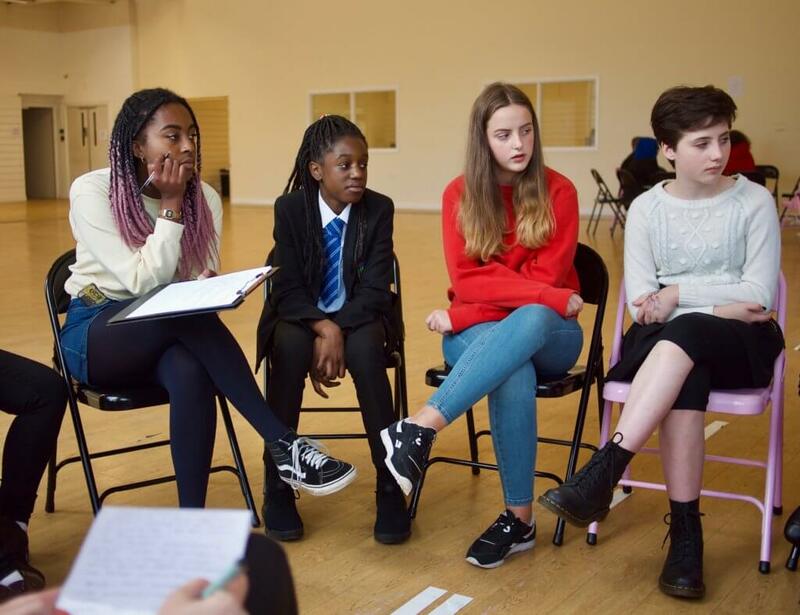 Detailed, accurate and inspirational Information, Advice and Guidance (IAG) is vital and would go a long way to addressing the misconception that creative subjects are ‘nice to do as hobby’ but ‘it’s the ‘academic’ subjects that will lead to careers’. Shining a light on the £97.4b creative businesses bring into the economy would help. Also helpful, would be to undertake comprehensive mapping of where cultural and creative organisations are, the types of roles that are available, where potential growth lies, the range of skills and competencies employers are looking for, the types of qualifications that would be helpful and a series of signposts of possible pathways into jobs. When I talk to employers, the overwhelming response I hear is not that young people entering work for the first time lack English and Maths skills, but that they lack soft skills, confidence, the ability to think outside the box, the capacity to work on their own initiative and, most crucially, practical experience of the job they want to do, especially in the creative sector. We need a joined up approach to not only how the arts are taught, but the whole curriculum. Business, the Arts Sector, creative industries, universities, further education and Apprentice training providers etc, need to come together to map out comprehensive routes from pre-primary through to employment and work together in order to create a curriculum that is relevant and applicable to what is needed now and in the future. This might involve mentoring, real life creative challenges that students respond to, challenges that are rooted in a subject specialism, but that have applications beyond the subject’s boundaries, work placements, traineeships, work shadowing. These are just some of the ingredients that would help address some of the issues. However, none of this will lead to systemic change unless the DFE in particular is prepared to listen. I believe passionately that arts subjects in school are the most effective way to nurture passion for the arts and creativity. I am immensely proud of the many ex-students who have made contact with me over the years who state their passion for the arts, and in many cases their careers, are as a result of my teaching them Drama and driving whole school improvement through creativity. What we need is inspirational and specialist teachers who have a passion for the subject they teach, ideally supported by experience of applying their art form beyond the school gates, and who are given the curriculum space in which to teach. I do believe there is a place for inter-disciplinary work in which subject boundaries are blurred, particularly in primary and key stage 3 – indeed I created a very successful ‘Hybrid’ curriculum as a school leader, which was underpinned by creativity and made connections between subjects in order to embed learning. I also believe Teaching for Creativity is the embodiment of effective teaching and learning regardless of phase or subject. IVE have actually developed a whole CPDL programme, Creativity for Teaching, that equips all teachers with the understanding and pedagogical strategies in order to ensure they are nurturing independent and creative learners. However, this does not take away from the power and the importance of specialist arts teaching via a subject based approach in schools.